Planning a trip to Sydney? Even if not you probably will be after you read about these dishes. We all know that Sydney’s food scene has a lot to offer, but when you’re just flying down for a weekend it can be hard to decide where to go. So we’ve made your #holidaylife easier and put together a list of our absolute faves – the ones we always make time for when we’re visiting town. 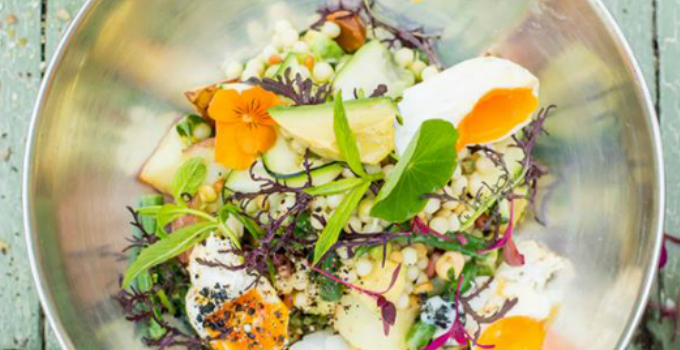 There is a very good reason that the Grounds of Alexandria is so popular and it’s not just their garden – but you definitely need to taste what they’re growing. This bowl is full of avocado, roasted sprouts, cauliflower, broccoli, edamame beans and green apple with roast almonds, fennel and kefir. Good things take time and Porteno’s Argentinian wood fired lamb spends 8 hours spread across an ironwood bark fire pit, resulting in a tender meat that is, to put it mildly, f—ing amazing. You won’t have to wait 8 hours to get it in front of you though, and good thing too – you’d probably wind up jumping into the fire pit to get your hands on the roasting meat after smelling the delicious aroma for a few hours. Restaurants run by celebrity chefs abound in Sydney – we’re actually a little miffed that none of them want to come to the Sunshine State. But Kylie Kwong we’ll forgive, if only for her signature crispy skin duck with tangy orange and plum sauce. Don’t be put off by the dingy exterior that screams more brothel than burger joint, this old hall turned bar and eatery is worth braving the crowd of bearded bros always loitering outside the door. Downstairs is a dim and dusty bar while upstairs, simple yet rave-worthy burgers await. 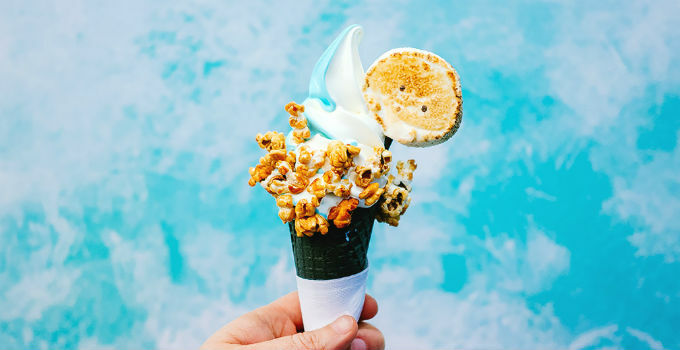 Sea salt soft serve may sound a bit strange to the uninitiated, but this semi-frozen treat is so not what you would expect. Sea salt (think salted caramel) joins other weird and wonderful flavours which change fortnightly and comes topped with – wait for it – fairy floss, marshmallows, pop corn and pop rocks. If you’re looking for the ultimate drinking food, this is it. Cheeseburgers and spring rolls, together? What’s not to love? Good thing they have a whole lot of cocktails to pair them with. We recommend Ms G’s Famous Yuzu Slushee – or you could just go straight to the shots. Getting your greens in has never tasted so good. While it might take a moment for you to get over the fact that your pancakes are very violently green, you’ll soon think of it as your favourite colour. Topped with poached egg, avocado, feta and mint, they’ll leave you well and truly ready to hit the beach. Move over sweet potato and zucchini fries, potato churros are our new favourite potato alternative and Opera Bar know exactly how to fry them up! Pair them with a seriously refreshing Sydney sling cocktail with gin, pomegranate, fresh lime, mint, bitters and soda and a view of the Sydney Harbour Bridge for those ultimate holiday feels. 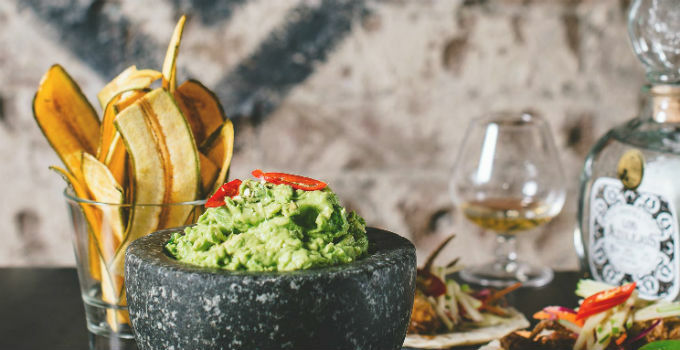 Corn chips are pretty great but have you tried plantain chips with guacamole from Mejico? If not, we suggest you change that pronto. You won’t believe these crispy chips are made from a fruit that is cousins with the banana but you’ll definitely go monkeys over them! And they make the guac at your table to your flavour preference – it’s a must do experience! Whether you have it on it’s own or as a part of The Apollo’s infamous shared banquet, their oven baked lamb shoulder with lemon Greek yoghurt is a must try. One of those dishes that you’ll keep picking at long after you’re full, it won’t let you leave a single mouthful of tender meat behind. The things that The Pie Tin can put in a pie just boggle our mind (black forest and meringue? Sunday roast? mac ‘n’ cheese? wtf? ), but it’s their thickshakes that keep us coming back for more. Well, technically it’s the pies and the thickshakes because, you guessed, they put the pies IN the thickshakes. That’s right, that’s not Snickers chocolate going into that cup – that’s Snickers PIE. Neighbourhood Bar serve up some pretty mean cocktails for after your tanning session too, but since you’re on holidays, why not start drinking before? Especially if you kick things off with one of their bloody Mary’s, a perfect concoction of beef stock (from beef cheeks nonetheless), lemon juice, secret sauce and smoked garlic. We probably don’t need to elaborate too much on this one, surely nobody can see the words “prosciutto” and “pizza” side by side and not feel the urgent need to get their hands on it. 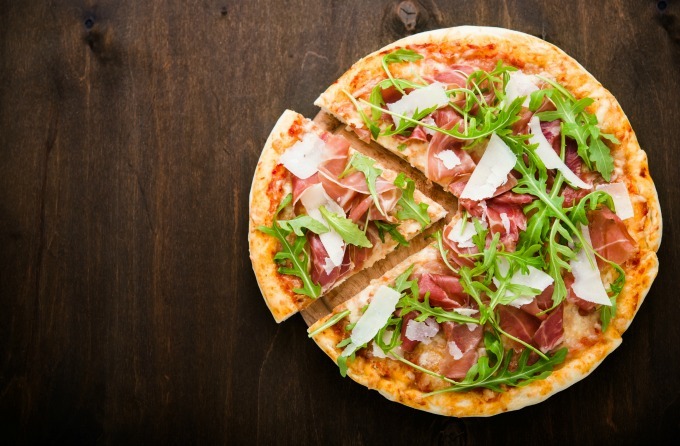 With parmigiana sauce, rocket, prosciutto, cherry tomatoes and mozzarella you definitely need a pizza this in your life. So start booking your flights and loosening your belt now! This small eatery is big on flavour – and celebrity sightings! If you hate having to make bookings, don’t worry, they don’t even take those here. It’ll be worth wheeling on down to Buffalo for their signature buffalo mozzarella and pasta, prepared in a giant cheese wheel. Pass that pasta our way! This deli-come-bistro, from the team behind Porteno, is fitted out like a traditional European providore, with cheeses and cured meats sold by weight. Sit at the bar for their signature Martinny, a martini served in an adorable Continental-branded tin can with a pull top. This definitely isn’t your classic cheese and meat grazing plate selection, it is so much more. The Botanist offers several options for you and your mates to choose from, including one big plate stacked with sticky pomegranate lamb ribs, peanuts, sesame, crispy shallot, labneh and couscous. It would be a sin not to have seafood when you’re right by the sea, especially when it’s fresh from the market. Served with peas, rocket, cauliflower and olives, you’ll know that you’ve made the right choice after your first mouthful. 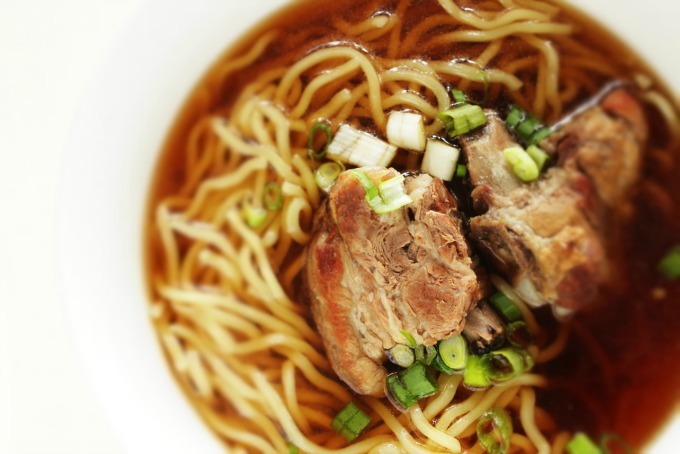 You’ll be a happy noodle after ramening’ here, this is a seriously soupy affair full of umami and love. This is so much more than just the tried and true ramen you still get the delicious broth and noodles but instead of slices of pork, you get whole juicy tender pork ribs on top – drools onto keyboard and books ticket to Sydney – Bring your sumo sized appetite and a bib, its hard work finishing this monster of a ramen. The super retro neon décor isn’t all that is stunning here, The Not Reuben is a force to be reckoned with and has definitely transcended Reuben status, with 5+ Wagyu melt in your mouth brisket, pickled slaw, manchego, horseradish mayo all on rye you’ll be in total food euphoria. So make your if you’re in the hills get yourself to Reuben Hills.